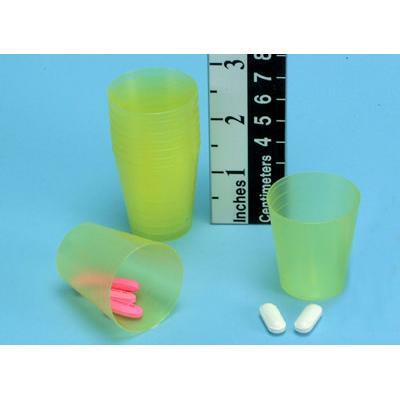 Narrow Graduated Medication Cup, Yellow, 400 Pkg. Available 400 per pack or 4,800 (#5163-01) per case. Plastic cups are also available in Blue, Clear, and Red. Lids are white plastic. Colors can be used to color code the time of day, patient, medication, etc.